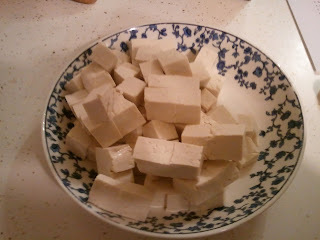 You still haven't tried tofu, have you? 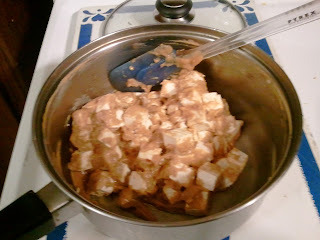 That's okay, because you start with my favorite tofu recipe yet! A couple weeks ago I had some incredible broccoli and tofu in spicy peanut sauce at Whole Foods. Even though it was cold, I just loved it. Even before dinner that night, I was trying to figure out how to make it at home, preferably warm. The very next day, I did it and it was fabulous. 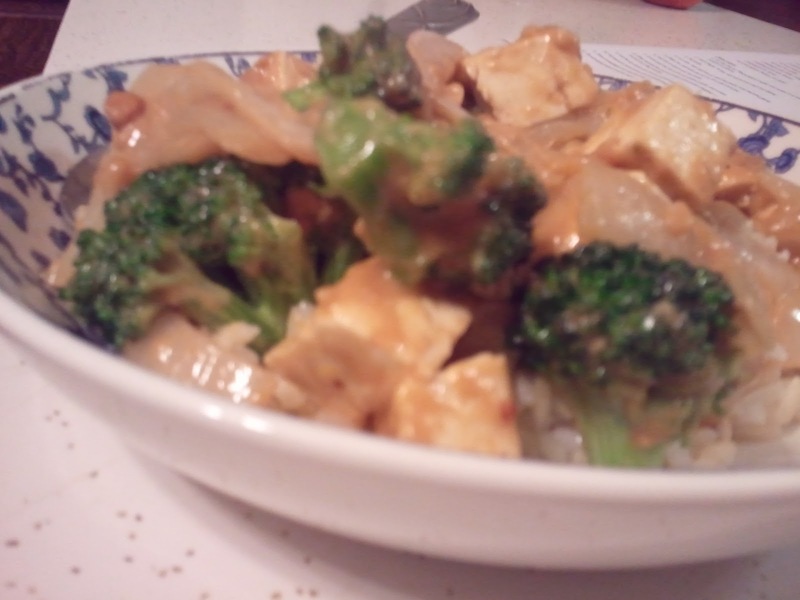 Yes, you could sub chicken in for the tofu here. You'll have to slice and cook the chicken, though, which will add a little to your prep time. First off, start your rice cooking. 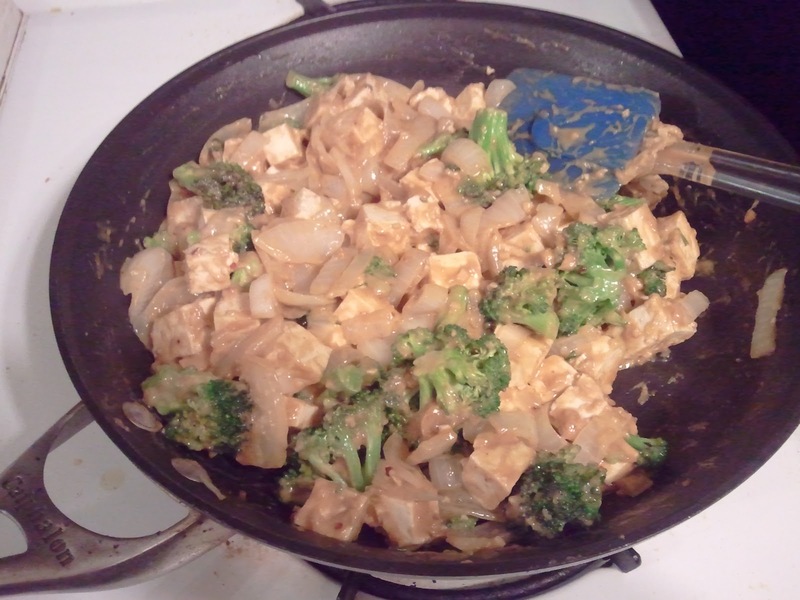 Last time I made a tofu dish, I was sad not to have rice. 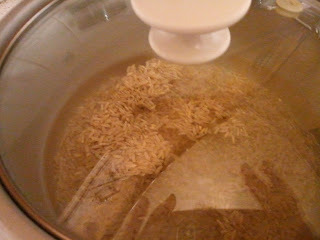 Plus this way the rice is almost always done right about the time what I'm making is cooked. Perfect. 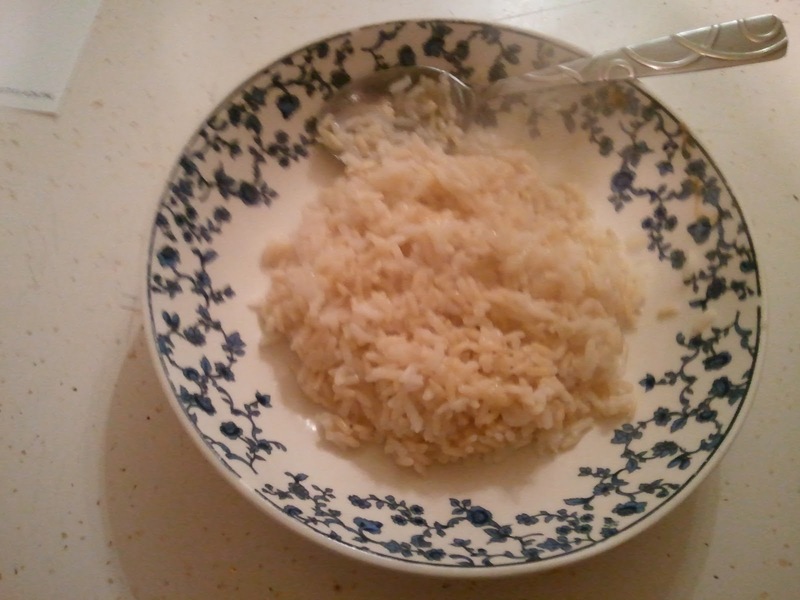 I ran out of brown rice, so this is a mixture of brown and white. Mix or whisk peanut butter (I used half creamy Jif and half chunky natural peanut butter), honey, red pepper flakes and vinegar over medium heat. 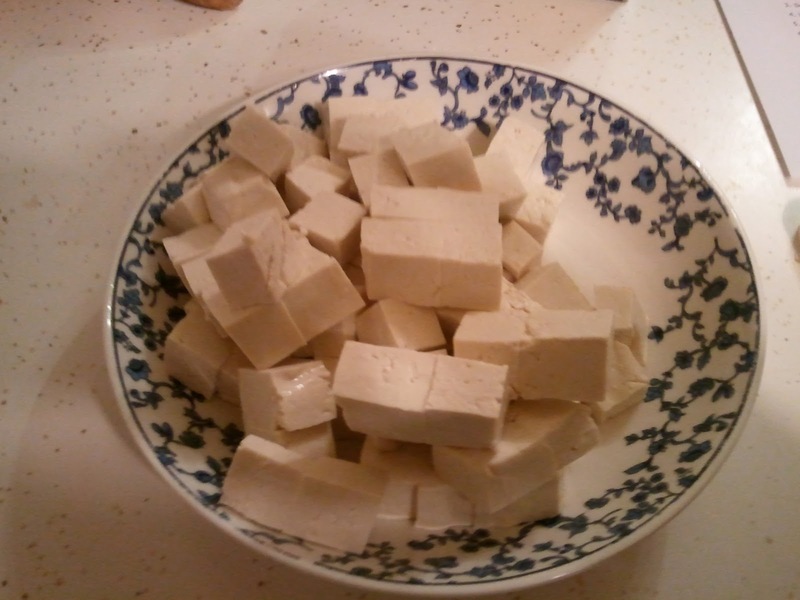 Cube good tofu. For once, I'm not going to fry this! Add soy sauce and keep mixing until smooth. 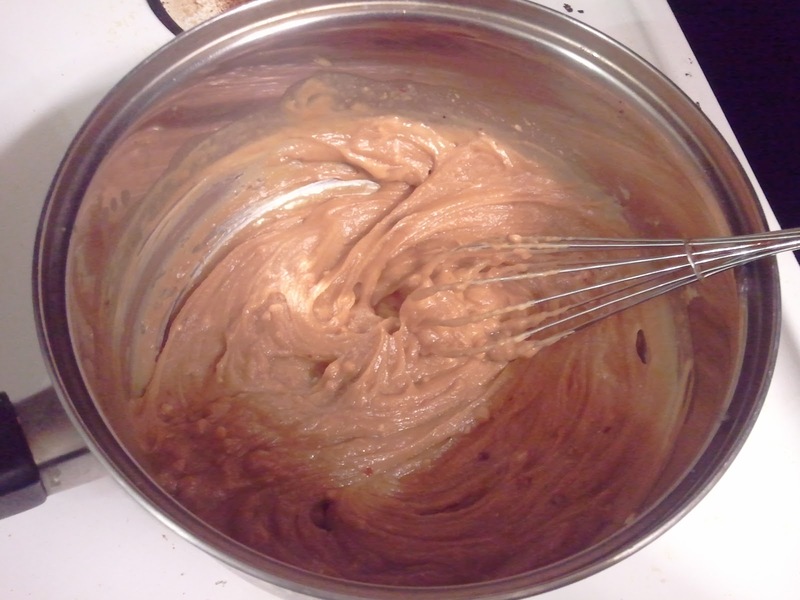 Turn the heat off as soon as it's smooth so it doesn't get TOO thick. 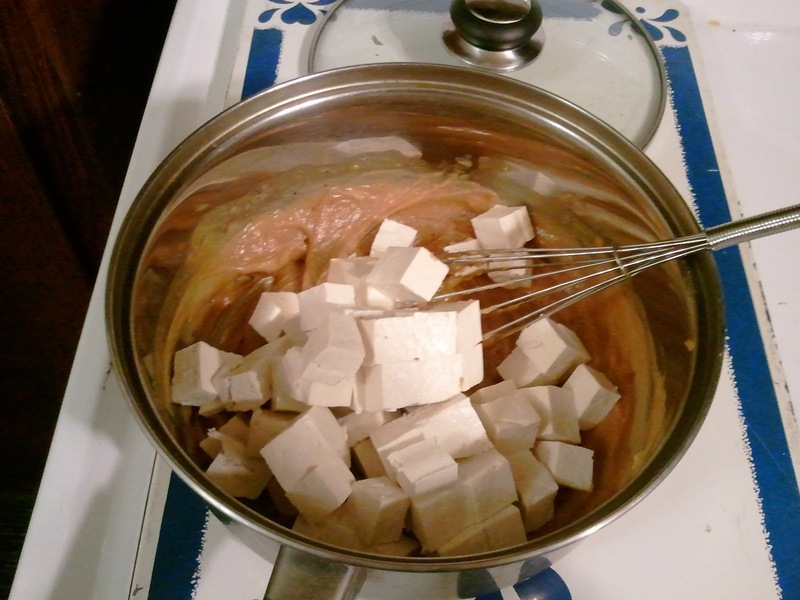 Throw the uncooked tofu into the sauce and mix to coat. Set this to the side for a while. Cook some onions and garlic in a skillet with some oil. 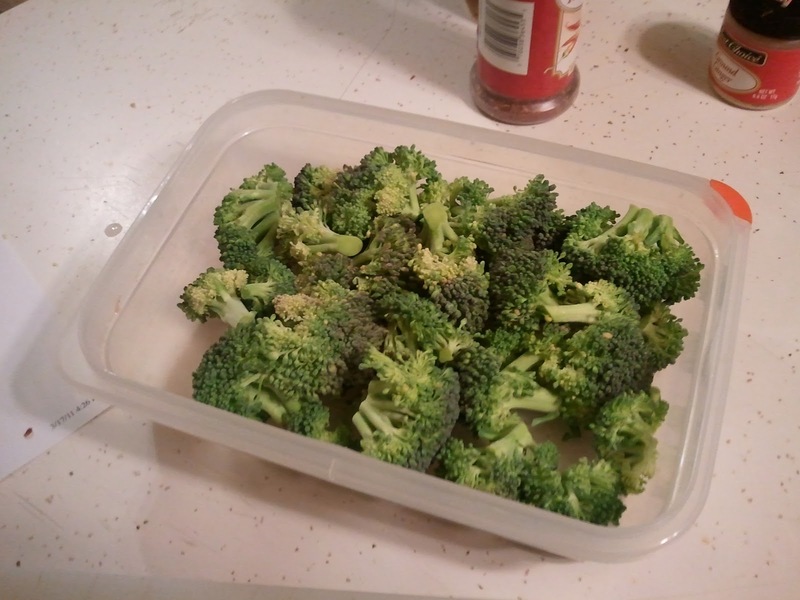 I had this broccoli cut up already. Once the veggies are cooked to your liking, put the sauce-covered tofu in and mix it all together. Keep heating until the tofu is warmed through. You don't have to cook the tofu, but I prefer mine not be cold. I wanted to eat the whole pan, but I didn't. This makes four decent-sized meals with rice. 1. 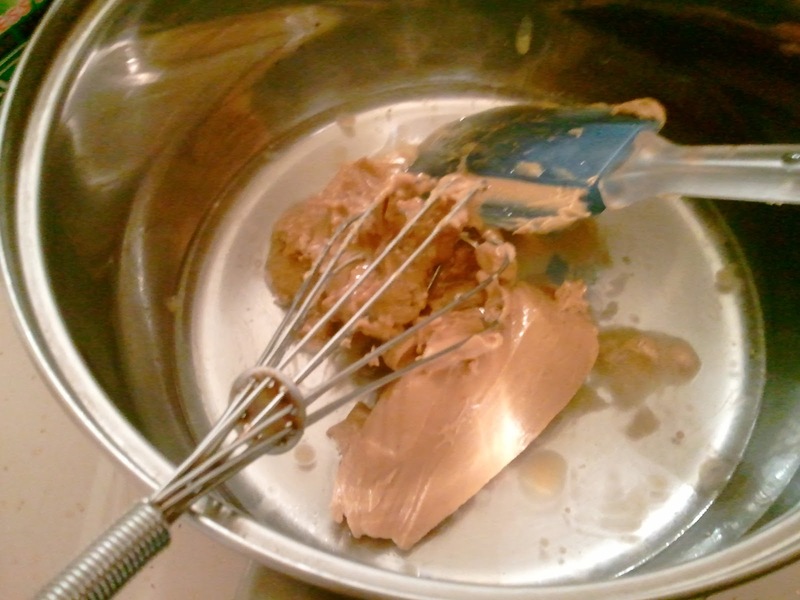 Place peanut butter and water in a sauce pan, heat on low heat and whisk until mixture is uniform. 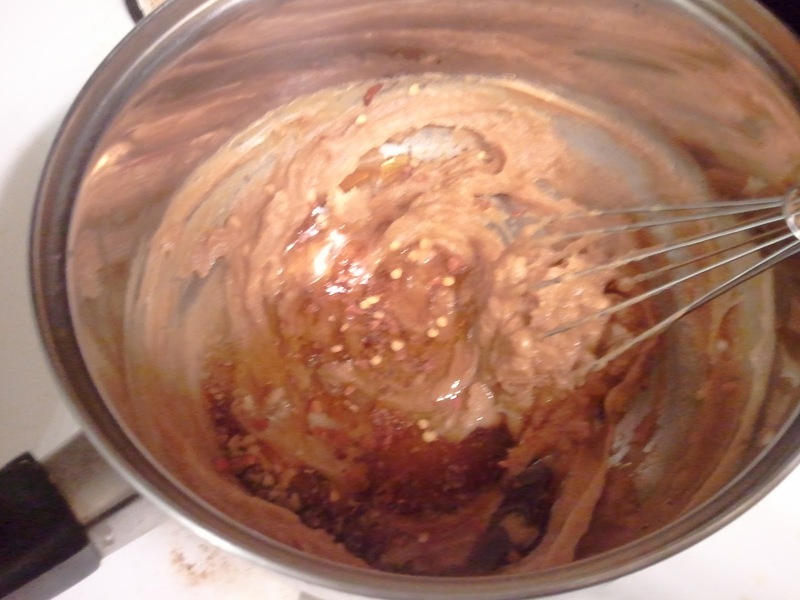 Add vinegar, honey, soy sauce and red chili flakes. 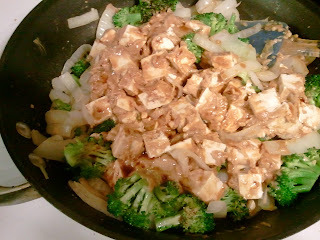 Add tofu to sauce and set aside. 2. 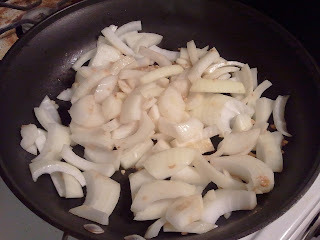 In a large skillet, heat the oil, ginger, onion and garlic. When hot add the broccoli and stir-fry a few minutes. 3. Add tofu/sauce to broccoli and stir until everything is coated with sauce. Cook until warmed through. 4. Serve over warm rice. 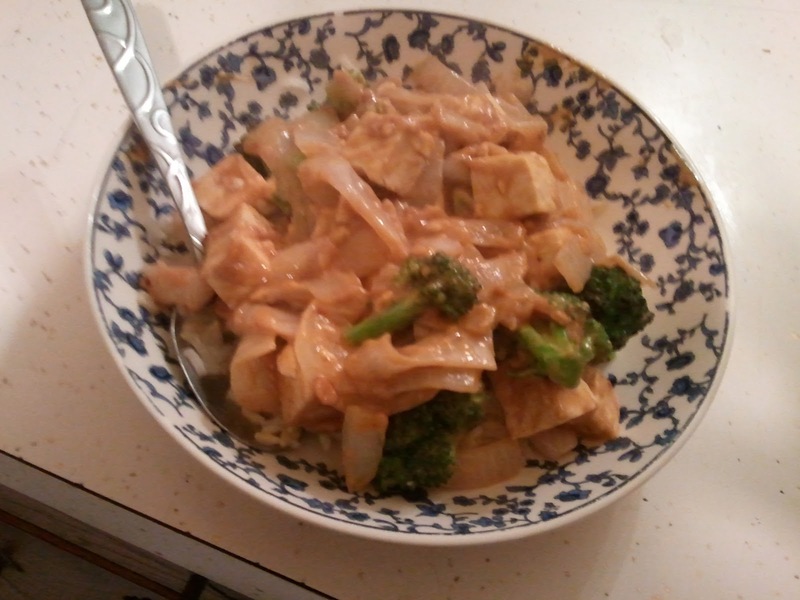 For anyone readings this, the peanut sauce was super delicious! 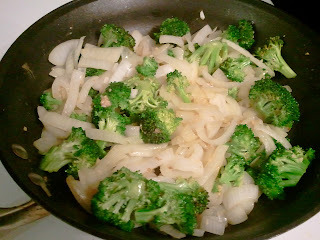 I made this with the veggies I had--cauliflower, broccoli, and carrots, as well as chicken. The peanut sauce mixed so well with the ginger on the veggies and chicken. Can't wait to make it again.